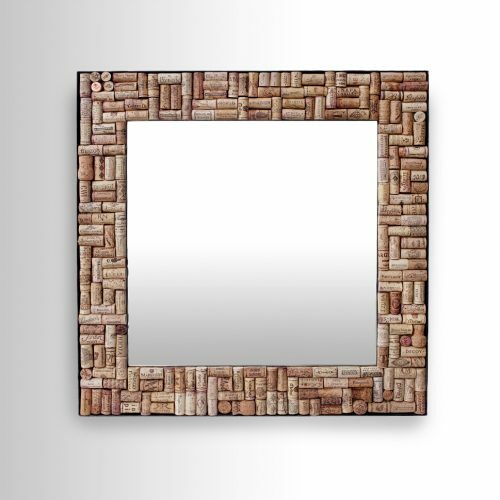 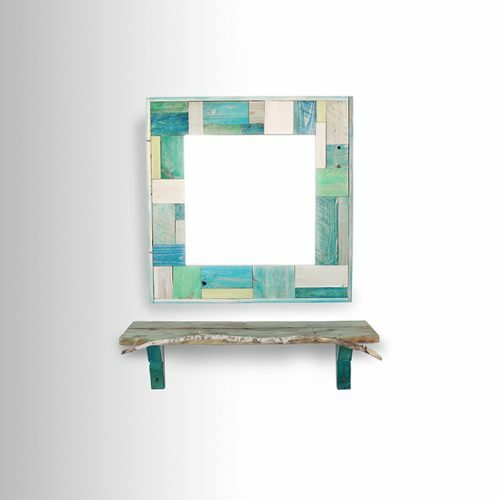 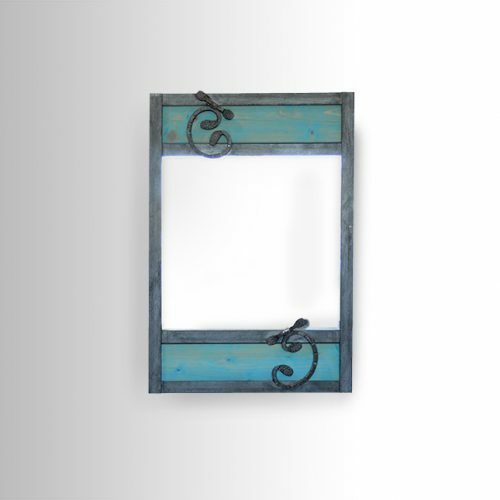 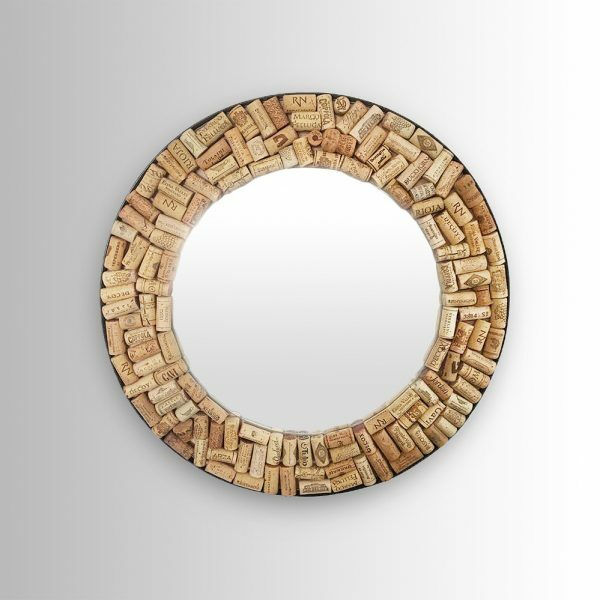 Round cork mirror embedded in a circular steel frame. 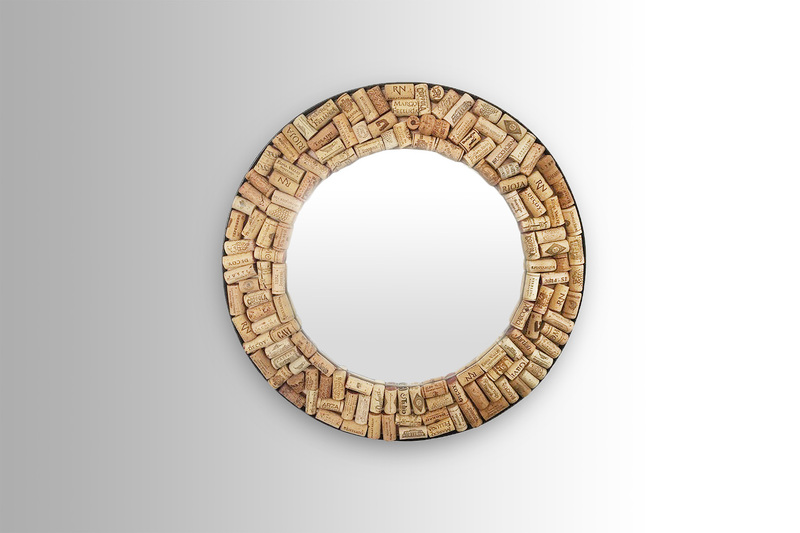 Made of 139 corks from wineries in Israel and around the world. Total diameter 60 Cm. 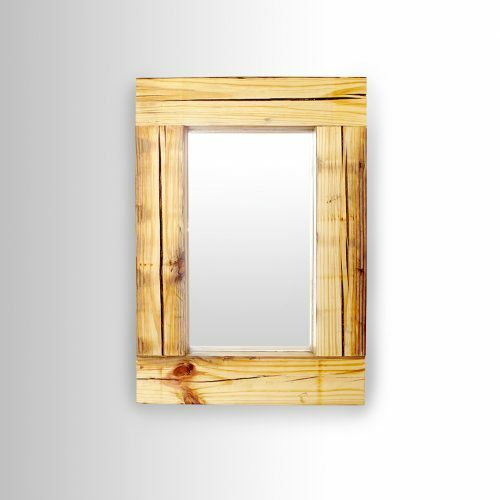 Mirror diameter 40 Cm.